Look 1: Long over long. 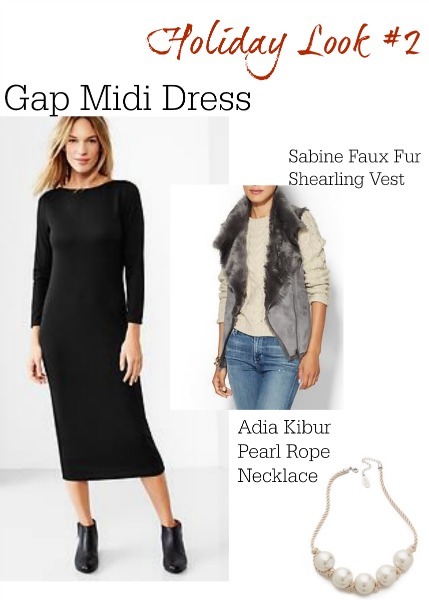 This gap midi dress is the perfect outfit staple. 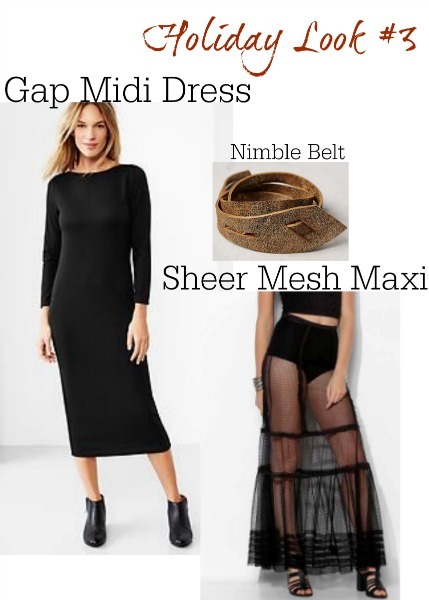 There are endless ways to layer this simple black frock. Add this long patterned cardi from Free People for a sophisticated Sunday look. Pair with a black flat bootie for a modern twist. Create a lux look by adding a faux fur vest over your black dress. I love the grey color of this vest that softens the whole look. Add a feminine touch by adding on this pearl necklace from Shopbop.com. Finish the look with a colorful shoe or black sandal for a updated holiday party outfit. For the fashion fierce, add this Urban Outfitters sheer skirt for a new take on layering. Top the look off with an embellished belt for a look that will scream black tie affair. This pattern is most associated with lumber jacks, but these 3 looks add a feminine spin to pair down the bold plaid. 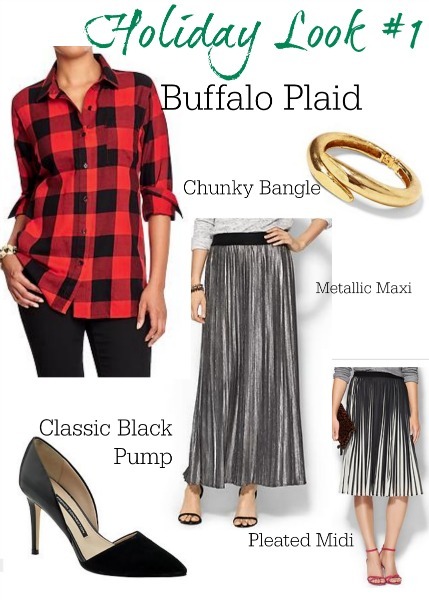 Take this casual button down from boring to chic with a pleated maxi or midi skirt. 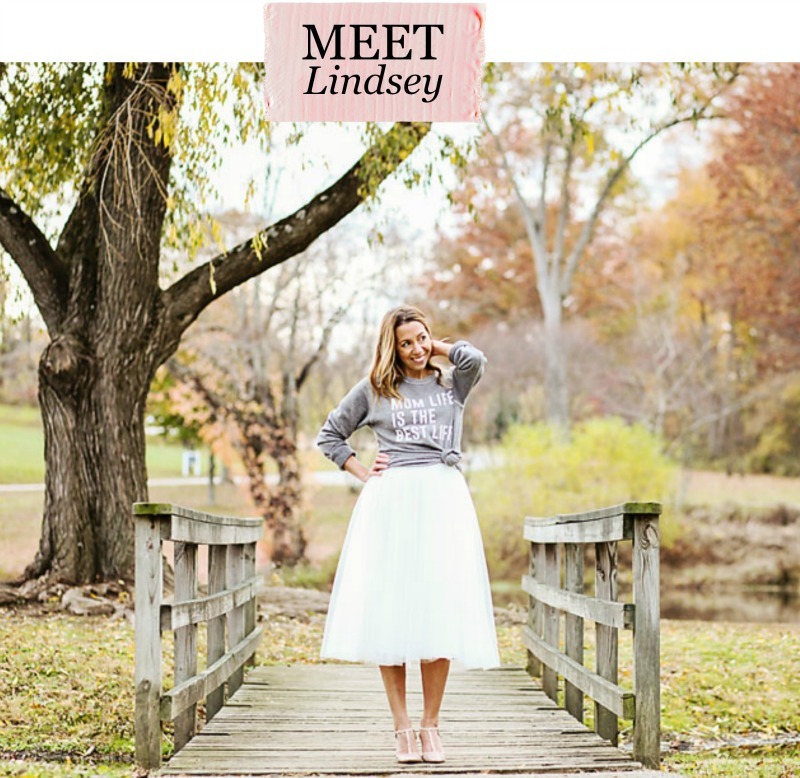 This is a fun way to mix preppy casual with your glam girl side. Chunky metal jewelry and a black pump would top off this effortless look. This whole look can be found at the GAP, but you will be looking like you strutted off the runway. 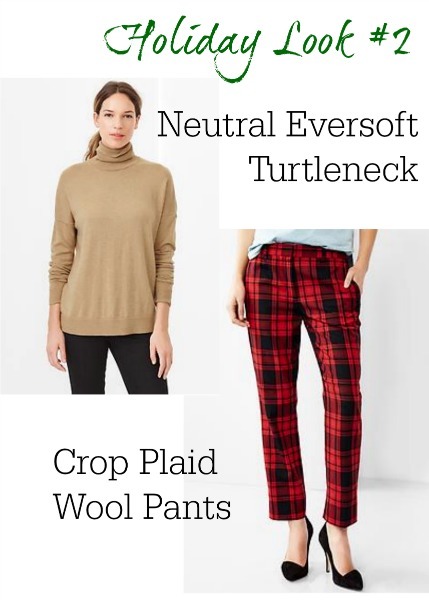 These buffalo plaid crop pants are a statement in and of themselves. Pair with a soft neutral color turtleneck for the ultimate polished look. 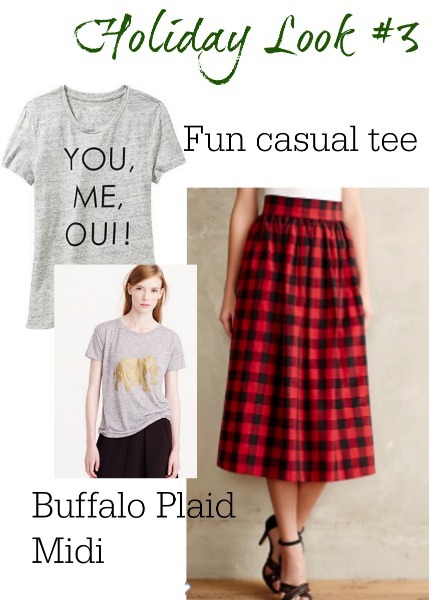 This Anthro plaid skirt is definitely a splurge! But paired with this adorable tee from Old Navy for a fun party look is totally justifiable. Adding a leather jacket would take this look to a whole other level! You can also top this skirt with a chunky cropped sweater to keep the skirt in your rotation. Shop the holiday outfit ideas here and remember that most sales end tomorrow! I love ALL of these. Love the sheer maxis and dresses but haven’t been able to find a way to make them work while feeling like I’m wearing more than underwear… Holiday look number 3 is perfect.